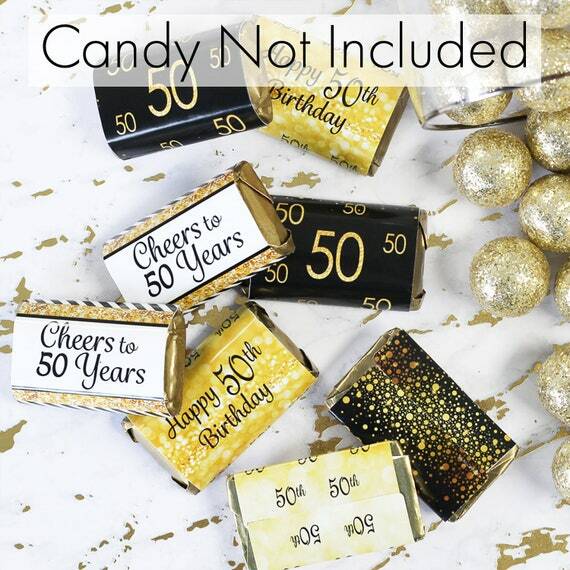 50th Birthday Stickers: each set includes 54 rectangular stickers (3 sheets total). ● 3 unique designs included per set. *Made to fit perfectly around of Hershey’s® Miniatures candy bars. Will NOT fit around Hershey’s® Nuggets.